This specially blended formula manages spa water while eliminating the confusion of adding multiple chemicals every other day. 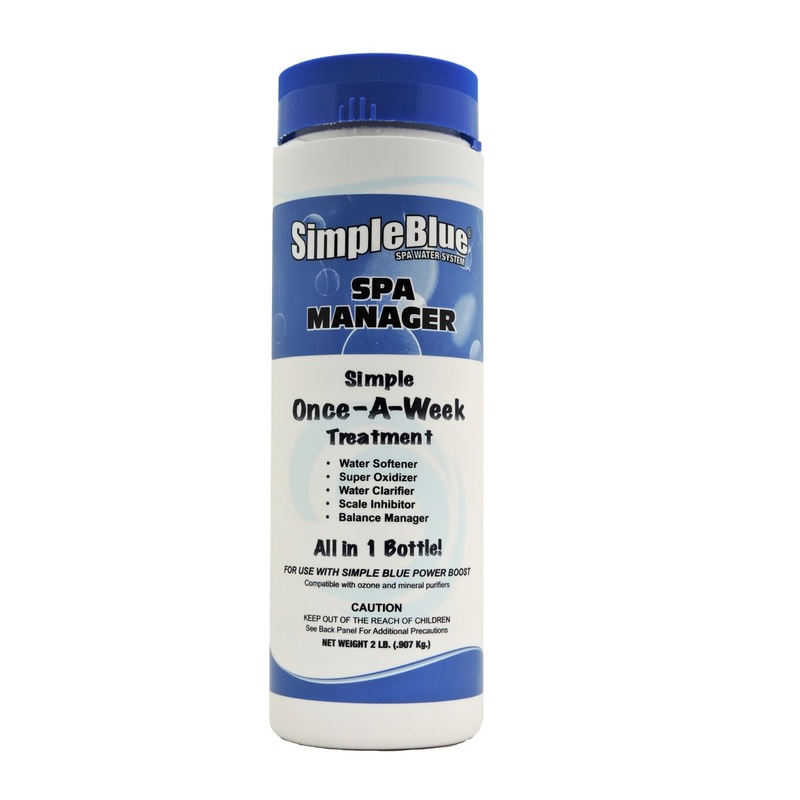 SIMPLE BLUE SPA WATER MANAGER contains a clarifier, stable oxidizer, scale inhibitor, water conditioner and balancers (pH, TA and CH) to keep spa water clean, clear and trouble-free. 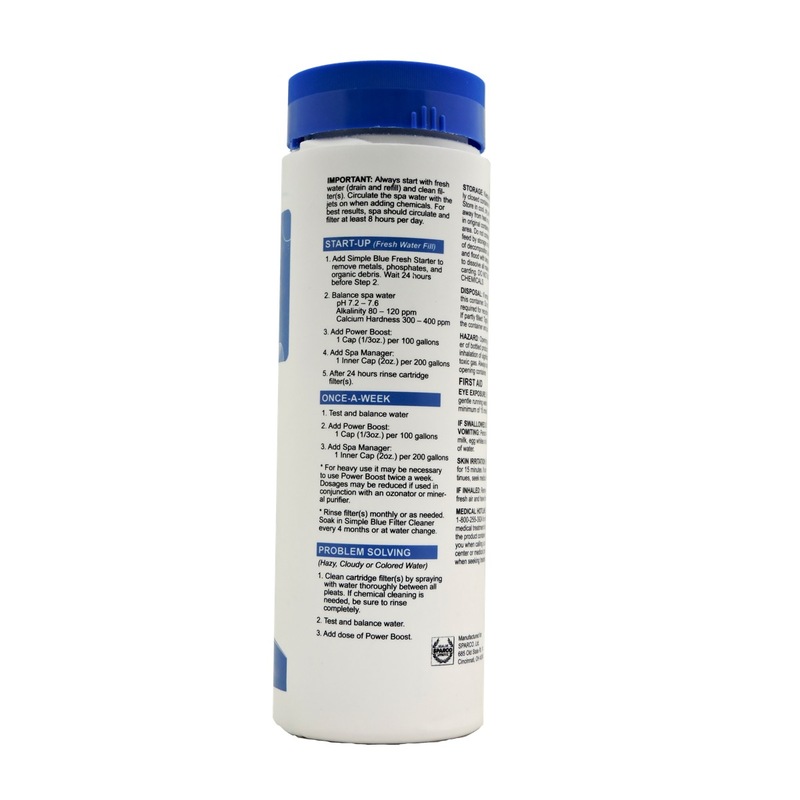 Spa water treated with SIMPLE BLUE SPA WATER MANAGER is scale and foam free. 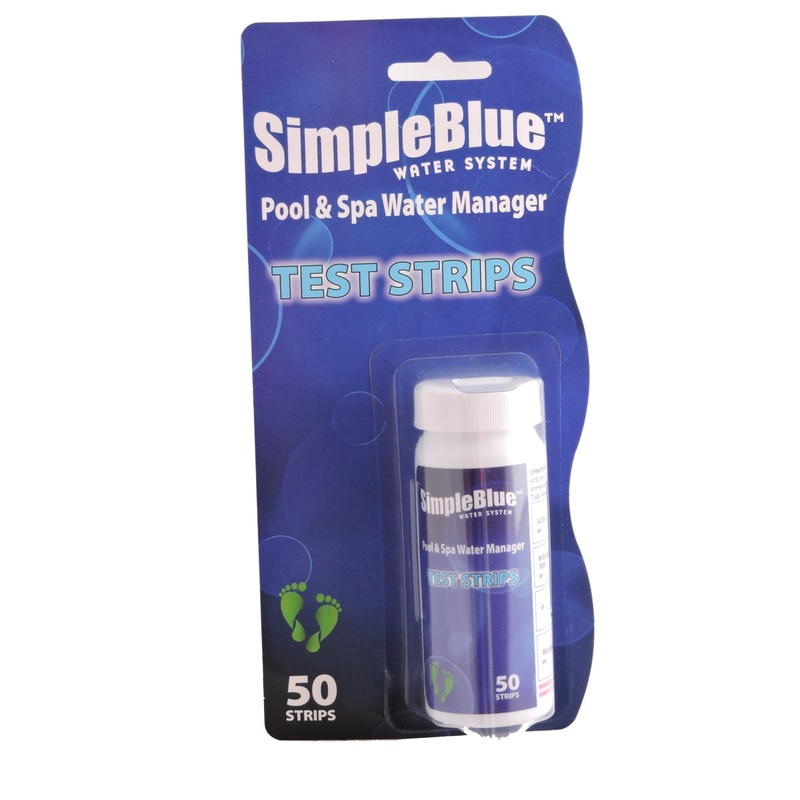 SIMPLE BLUE SPA WATER MANAGER is compatible with ozone and mineral purifiers as well as traditional sanitizers and balancers. Convenient and simple to use – just once-a-week! IMPORTANT: Always start with fresh water (drain and refill) and clean filter(s). Circulate the spa water with the jets on when adding chemicals. For best results, spa should circulate and filter at least 8 hours per day. 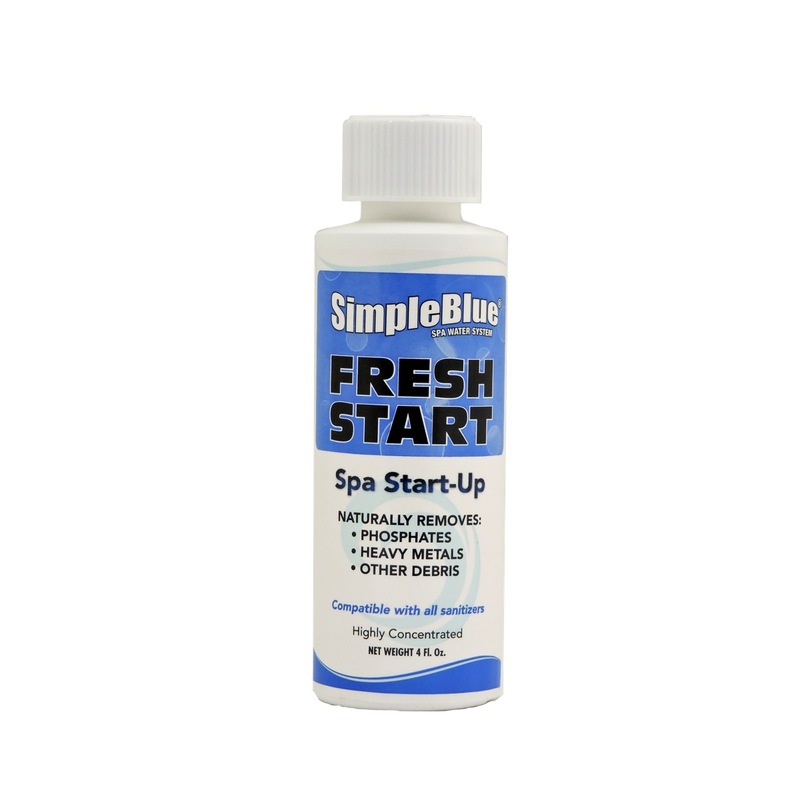 Add Simple Blue Fresh Starter to remove metals, phosphates, and organic debris. Wait 24 hours before Step 2. After 24 hours rinse cartridge filter(s). * For heavy use it may be necessary to use Power Boost twice a week. Dosages may be reduced if used in conjunction with an ozonator or mineral purifier. * Rinse filter(s) monthly or as needed. 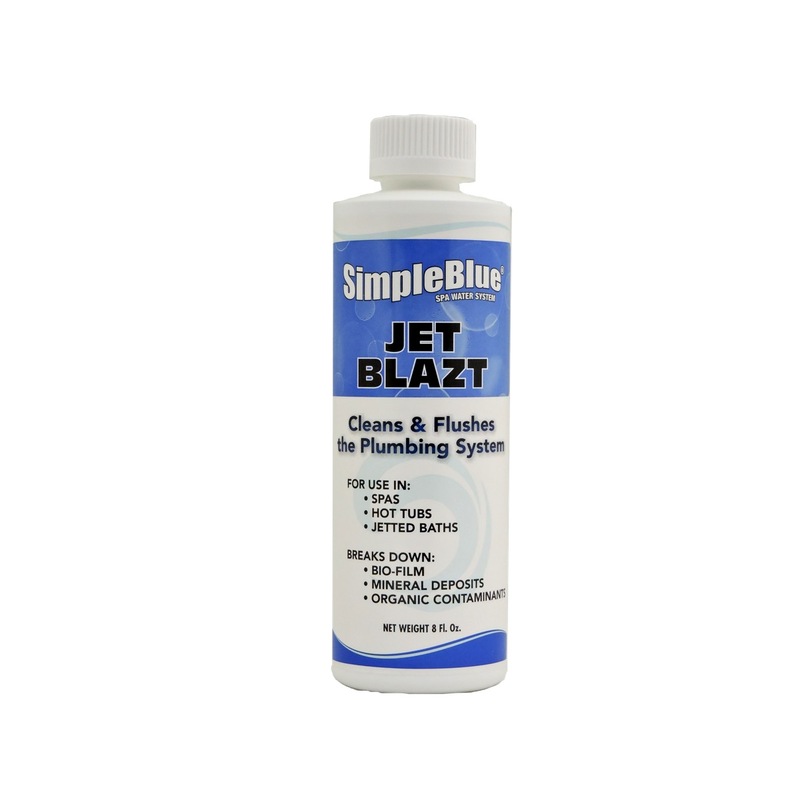 Soak in Simple Blue Filter Cleaner every 4 months or at water change. Clean cartridge filter(s) by spraying with water thoroughly between all pleats. If chemical cleaning is needed, be sure to rinse completely. Add dose of Power Boost.